Bozeman is a few steps behind Missoula when it comes to beer brewing, but this new spot is helping to make up for lost time. 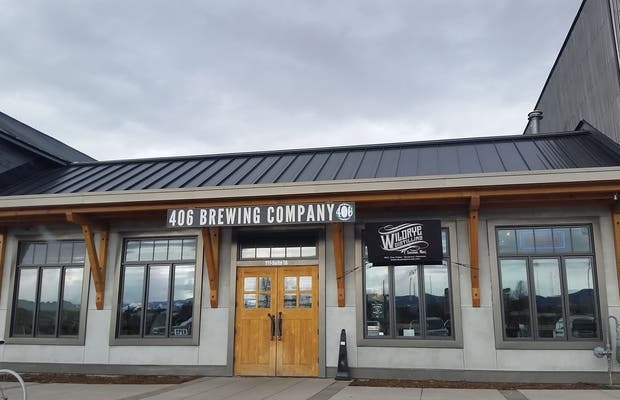 406 Brewing takes it name from the state's area code -- there is just one for the whole of Montana. They usually have about eight beers on tap -- a solid lineup, dependable but not too imaginative. We tried the Robust Porter and the Chinook Imperial IPA. Both were toasty and tasty and the porter was a good deal at $4 for a pint. 406 Brewing also has a full menu -- pizzas are the specialty but they also have nachos and sandwiches. I'd recommend a chicken pesto sandwich and a sobrillo pizza, which has a house-made garlic sauce.